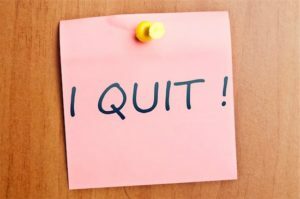 Employees are quitting more than they have ever done so in the past. Candidates have more job options than ever before, and they can now afford to be picky about where they work. If one job isn’t working out, they know there are many other roles out there for them to consider. This is true in accounting and finance and most other industries. The good news for companies is most employees are quitting for reasons that can be addressed. You can do something about it to prevent YOUR employees from leaving. While salary and benefits certainly play a role, many are quitting because of lack of opportunity and career development, a lack of flexibility and poor work-life balance. Finance and accounting professionals know there are better options out there if they are not satisfied with their current company. Be more flexible: You hear a lot about work-life balance and offering flexibility. Some believe in it; others don’t. The way we work and how we live has made it easier than ever to offer flexibility in the workplace. What that means for your employees may be different from other organizations. How much flexibility you offer will vary based on your company culture and how your company operates. Invest in personal and professional development: People want to work for organizations that invest in them. Professionals cannot afford to remain static today if they want to get ahead. Therefore, organizations need to offer personal and professional development opportunities. If you don’t provide professionals with the chance to grow internally, they will look externally. Allow employees to explore roles: Rather than trying to fit all your people into specific roles, taking a more fluid approach can help you get the most out of your team. Allow your employees to utilize their strengths and try new things. Often a change of roles internally can lead to better engagement and job satisfaction. Recognize your employees for their efforts: People want to be recognized for their efforts. It is a quick and easy way to keep people engaged. However, too many companies overlook the importance of recognition. It doesn’t have to be something grand. Communicate your appreciation for a job well done, recognize milestones, and celebrate successes. Do You Have These In Demand Fintech Job Skills? IQ PARTNERS is an Executive Search & Recruitment firm supporting clients across the country. We help companies hire better, hire less & retain more. We have specialist teams of recruiters in Executive Search / Board & C-Suite, Technology, Media, Digital & Marketing, Accounting & Finance, Financial Services & Insurance, Cannabis, Startup, Data Science, Consumer, eCommerce & Retail, Operations & HR, Manufacturing, Supply Chain & Engineering, Legal & Professional Services, Pharmaceutical & Life Sciences, and Sales. IQ PARTNERS has its head office in Toronto and operates internationally via Aravati Global Search Network. Click here to view current job openings and to register with us. 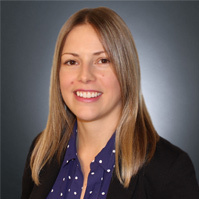 Danielle is a Recruitment Consultant with our Accounting and Finance team, primarily focused on placing talent with mid-sized public accounting firms. Danielle has five years of experience in the recruitment industry, starting out as a recruitment coordinator and growing into a recruitment and candidate sourcing specialist.